IBM has announced the company’s progress in the field of quantum computing. A 20-qubit processor will be available in commercial systems with offerings within its specific IBM Q quantum systems program. Customers will be able to access its services via cloud and develop applications using the QISKit project, an open source development kit to program on quantum computers. IBM also announced the creation of a quantum processor prototype with 50 qubits. IBM has been working at the development of quantum systems for years and in May 2016 opened for the first time access to one of them via cloud. A that time the quantum platform was called IBM Quantum Experience and the processor had 5 qubits, now the name was shortened to IBM Q Experience but the processor power has increased considerably. 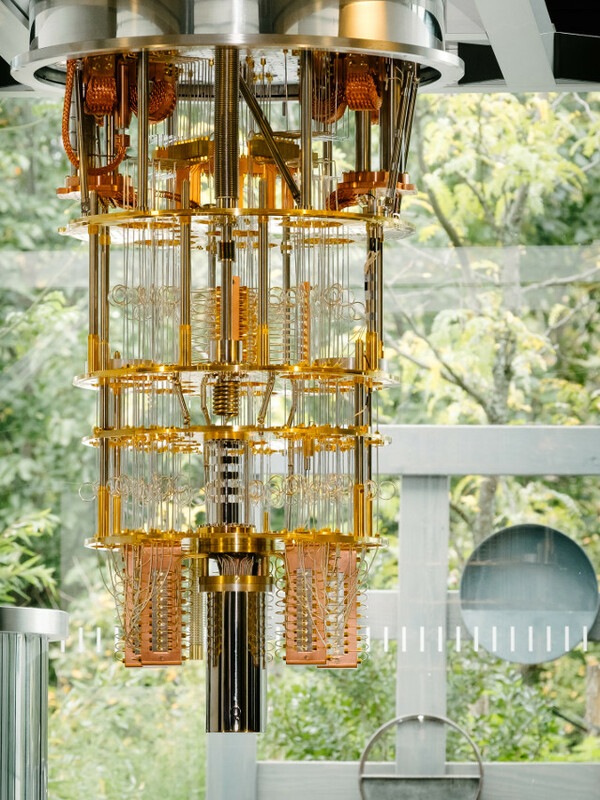 The situation was already improved with a system with 16 qubits and now IBM offers a further improvement with 20 qubits and a doubling of its coherence time. Often there are controversies around quantum systems such as the ones produced by D-Wave connected to their technologies but IBM promises universal quantum computers. This means that at least in theory they can solve any type of problem at much higher speeds than classical systems because a qubit can have 0 and 1 as a value at the same time thanks to the superposition principle. In any case, these systems still work at temperatures close to absolute zero, conditions where the superconducting properties of certain materials can be exploited. The time of coherence, which is the time available for quantum calculations, of the new IBM quantum processors with 20 and 50 qubits declared by the company is 90 microseconds and allows for high fidelity in operations. IBM Q Experience allowed more than 60,000 users to complete over 1,700,000 experiments on IBM’s quantum systems. The availability of tools such as QISKit allowed to build a quantum ecosystem and after the test period the company started offering commercial services. Quantum computers work in extreme conditions and it can be difficult to run them at their fullest without any problems that may interfere with their calculations. A processor with 50 working qubits could theoretically overcome the power of a classic supercomputer so it will be really interesting to see the performance of IBM systems.